Are you discouraged today because your marriage was hit by the trauma of an affair? Are you looking for tips to recover from the infidelity? You’ve come to the right place. Marriages can certainly heal after infidelity, it is possible. Don’t let anyone tell you it’s not. Is it easy to restore a marriage after an affair? No, it takes work and time. Our marriage survived after my affair almost 12 years ago. You can read our story here. We learned a lot of what worked and what didn’t work, and that’s what I want to share with couples on this site. This is specifically what we did in our marriage to begin the healing process. I’m not a counselor, so this doesn’t replace professional advice. However, a few of the counselors we did have, made it much worse. We figured out how to forgive and heal our marriage through a lot of trial and error. And we didn’t figure it out right away, but eventually we discovered some secrets and steps that worked for us. If you’ve been the unfaithful wife, read this section. I’ve been there and I understand how incredibly hard it is to let go of the affair and work on your marriage again. But it’s important to take the right steps to start the path of recovery for your marriage. For the betrayed husband, read this post and know you are not alone. Do all marriages survive an affair? Yet, if you and your spouse really want to work at rebuilding your marriage, and you are both committed to the process, your marriage can survive. Not only survive, by thrive. 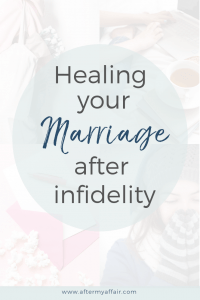 Yes, Healing a marriage after infidelity is possible. 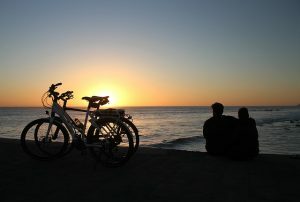 If you are the unfaithful wife, check out this post: “how to rebuild your marriage after an affair.” for specifics steps you can start taking now. It is the last part of a series from the 4 stages of an affair. Feel free to contact me here or email me at [email protected] and let me know what posts have helped you and what you’d like to learn more about or posts you’d like to read here. I love hearing from my readers like you. I really do care about you and how you are healing after the affair. Be sure to get my free e-book on the things we did that helped our marriage survive. They’re things you can start doing today too. Read more about the 4 stages most affairs go through. Are you looking for ways to help your husband heal after your affair? Read this post. Are you searching for purpose and wonder about God? Read more about faith in Jesus here. Are you a wife still wondering how to break off an affair for good? Read what worked for me.